Congratulations to Solé Bennett! After placing 2nd chair in a regional audition, she has been invited to audition for the South Carolina All-State Band. Solé is a 7th grade bass clarinet player in the HRMS Advanced Band. 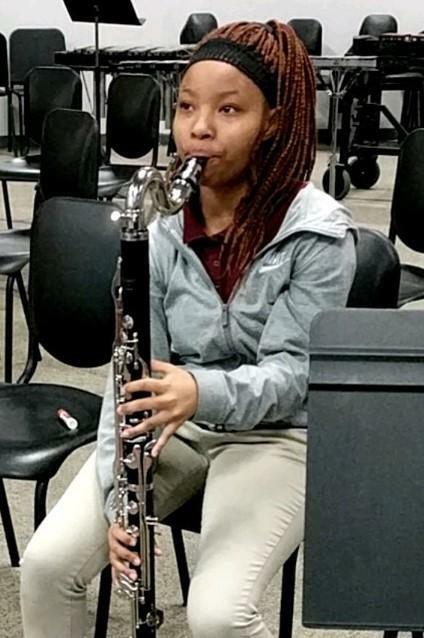 She will travel to Columbia on Saturday to compete against the top 3 middle school bass clarinet players in each of the 6 regions in South Carolina. We are so proud of Solé and wish her the best of luck on Saturday!